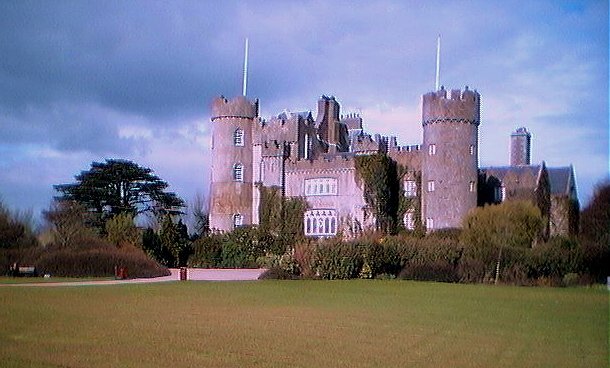 Depending on how Murphy's road construction is coming along, Malahide Castle is only a short drive from downtown Dublin. We took a couple of hours out of one afternoon to head out there and take a tour. 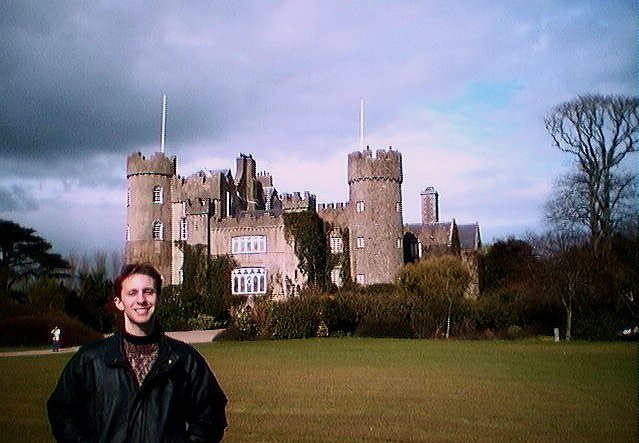 And of course someone had to take a picture of the place with me in the shot...because "pictures are much nicer if there are people in them". 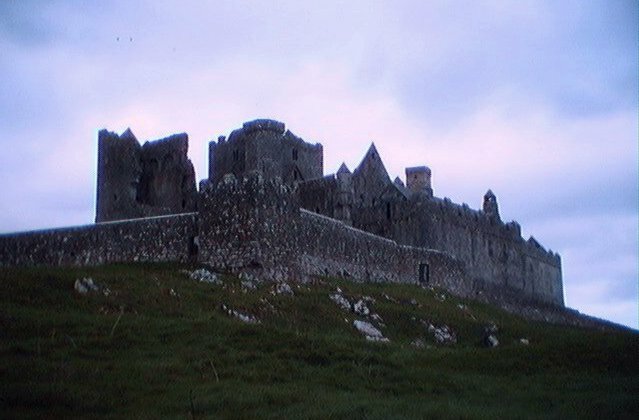 On the way back to Dublin from Fermoy on Suday afternoon, we stopped briefly in Cashel to see the famous Rock of Cashel. It was an impressive structure, especially seen under the cover of the foreboding weather. Next time I swing by there, I'll have to make it at night so that I can catch it lit up. I hear it's something to see. 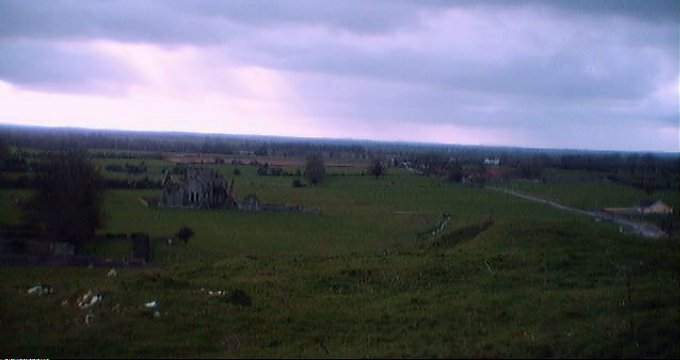 This is simply a view of the countryside surrounding the Rock of Cashel. The ruins of the construction seen here may be part of an abbey that once stood there.